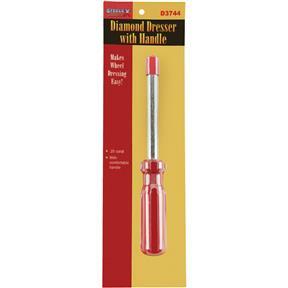 This 0.25 carat Diamond Dresser makes trueing abrasive grinding wheels fast and easy while exposing a fresh surface for efficient grinding operations. Simply guide the Diamond Dresser against the grinder's tool rest to restore the wheel back to its original condition. 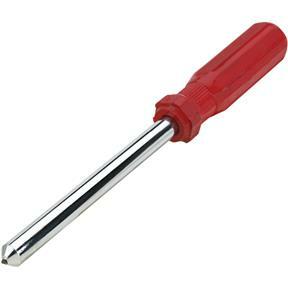 Overall length is 8-1/2" long with a 3-3/4" long handle. The industrial diamond measures 0.25 carat.